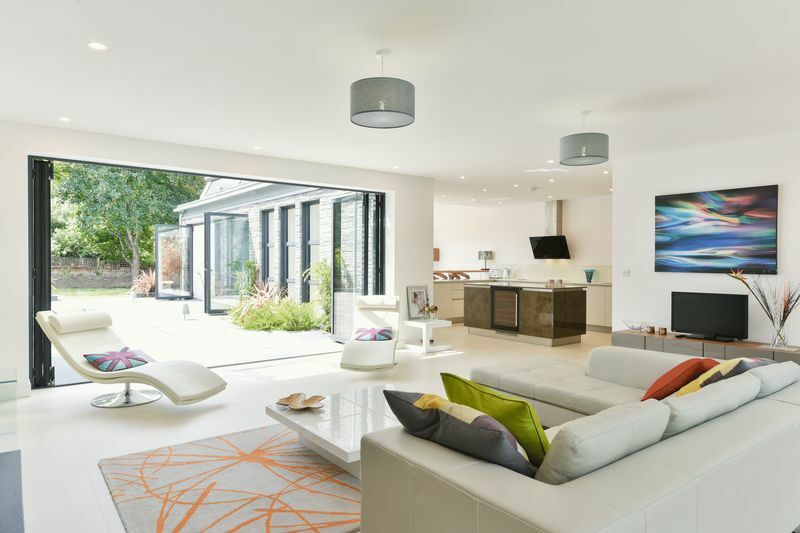 An Impressive Total Floor Area of 5,400 sq.ft. 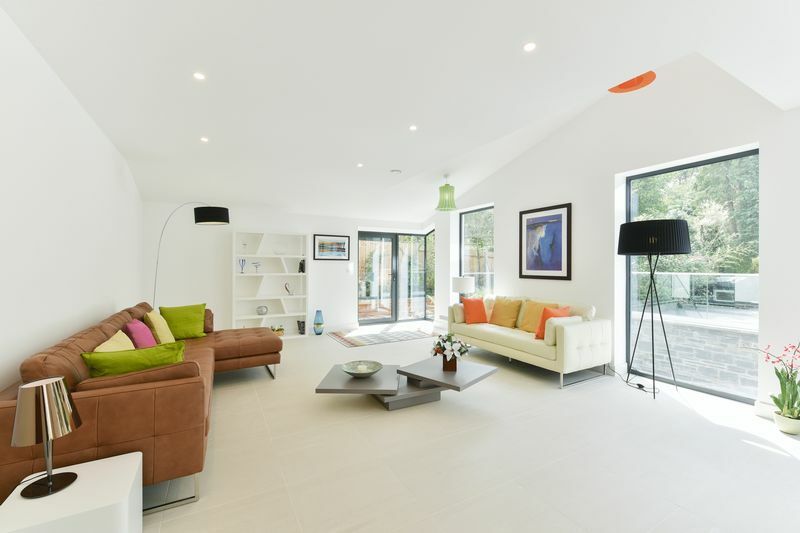 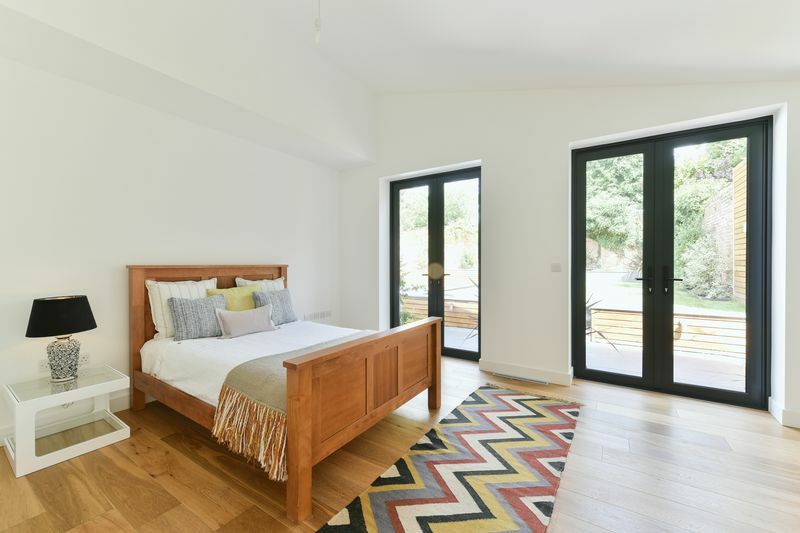 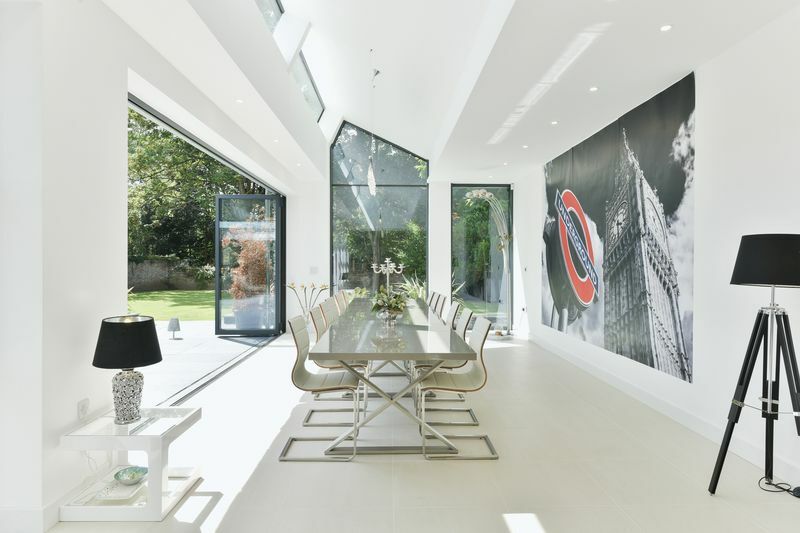 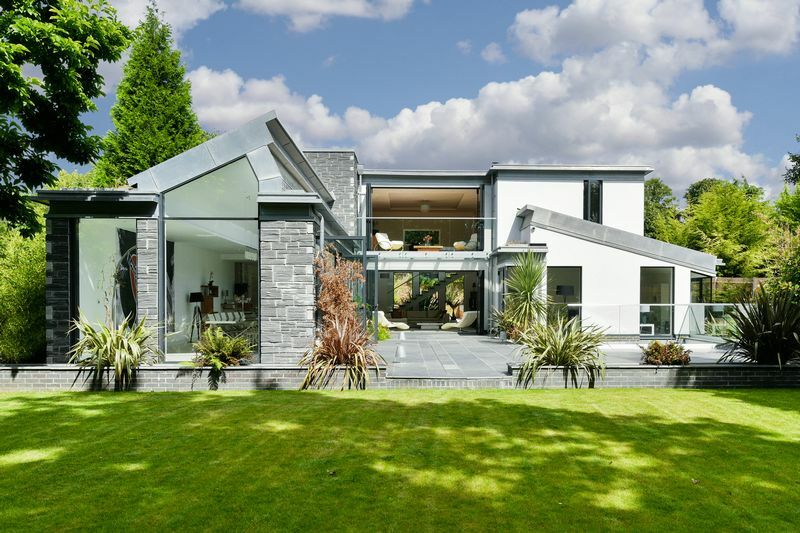 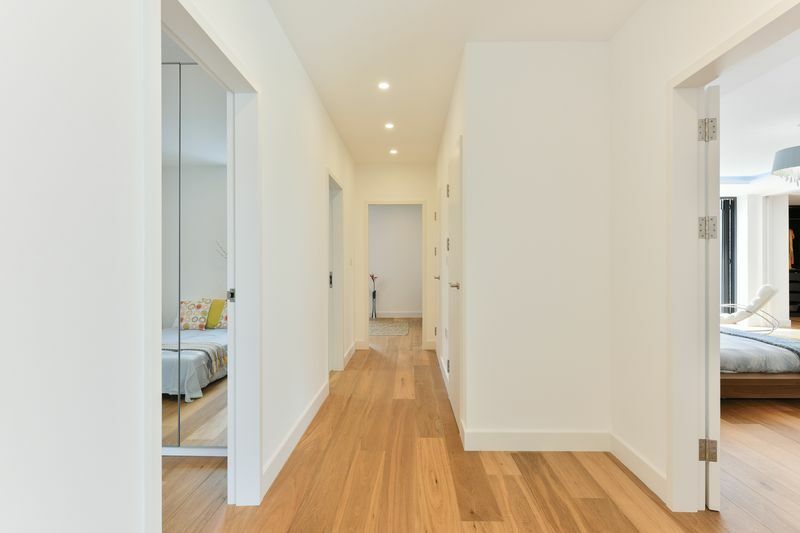 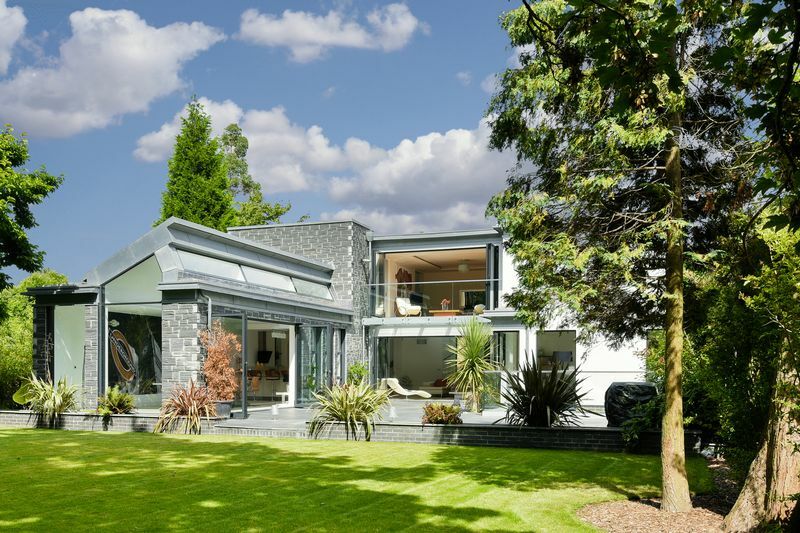 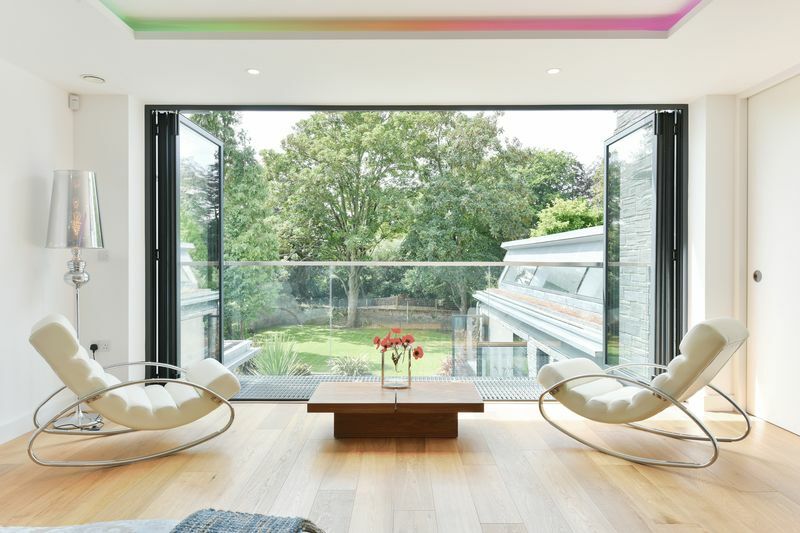 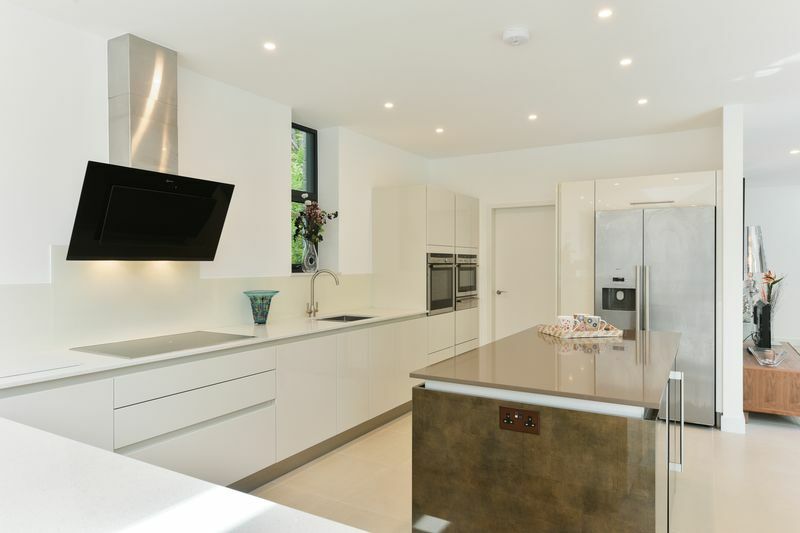 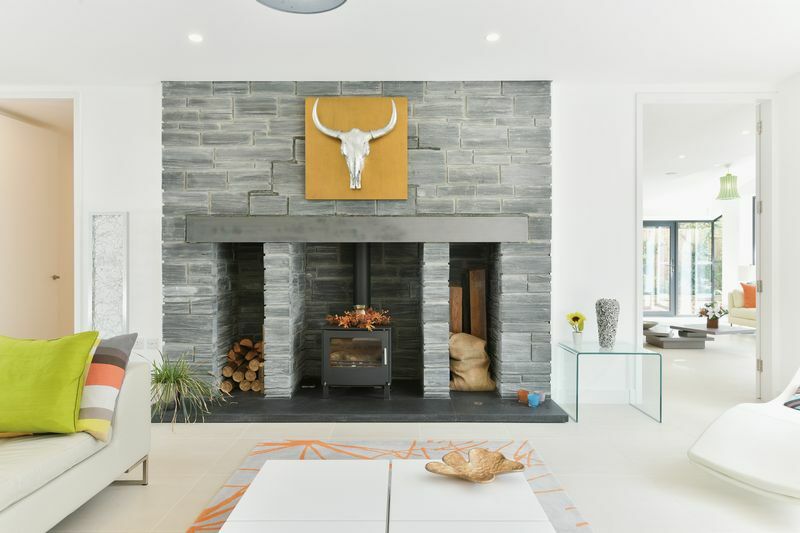 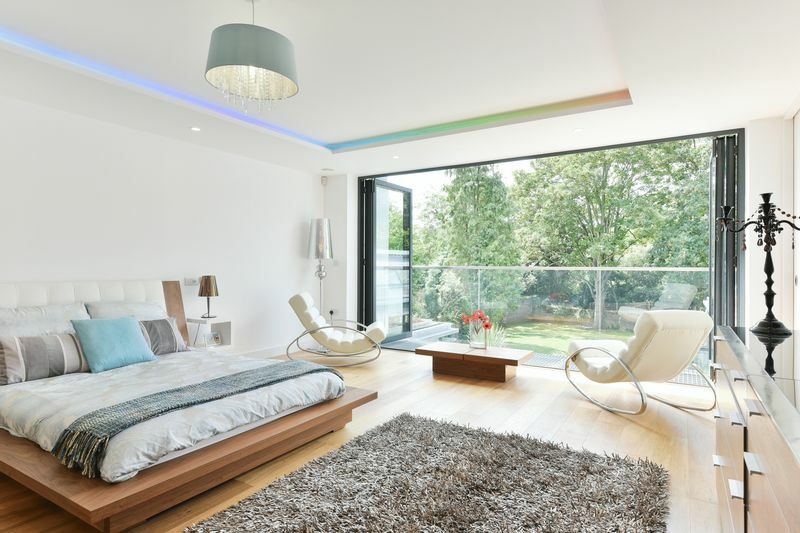 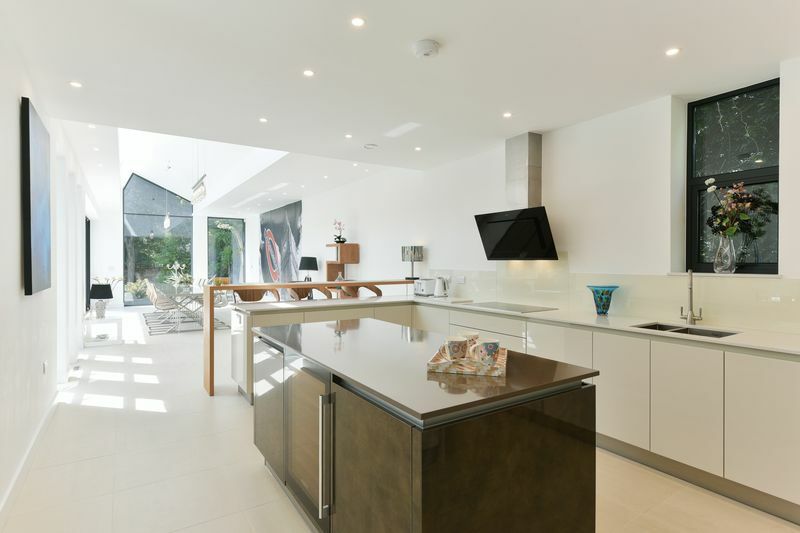 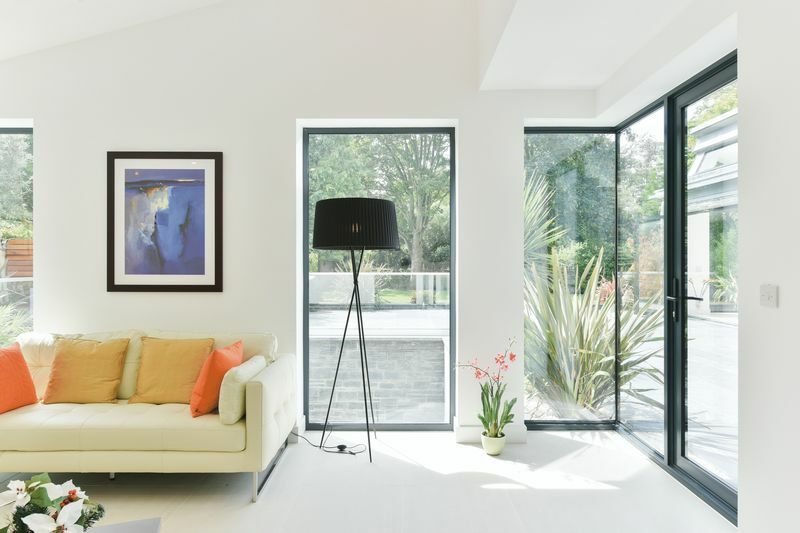 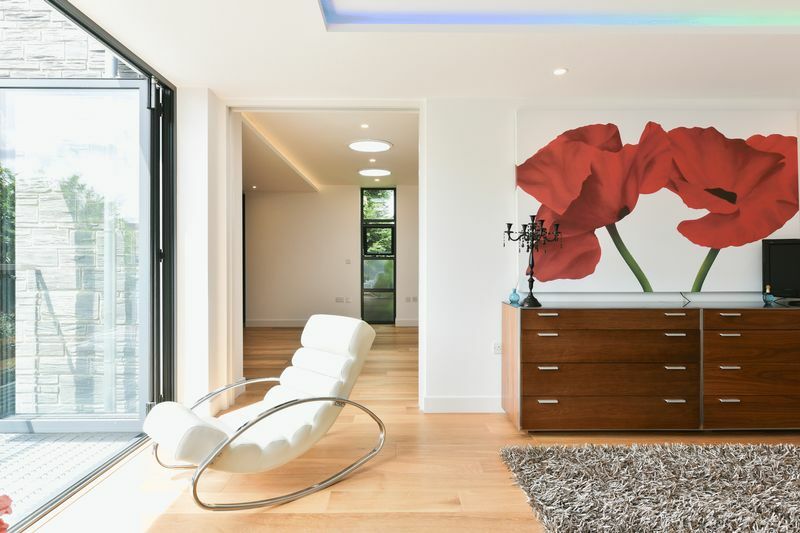 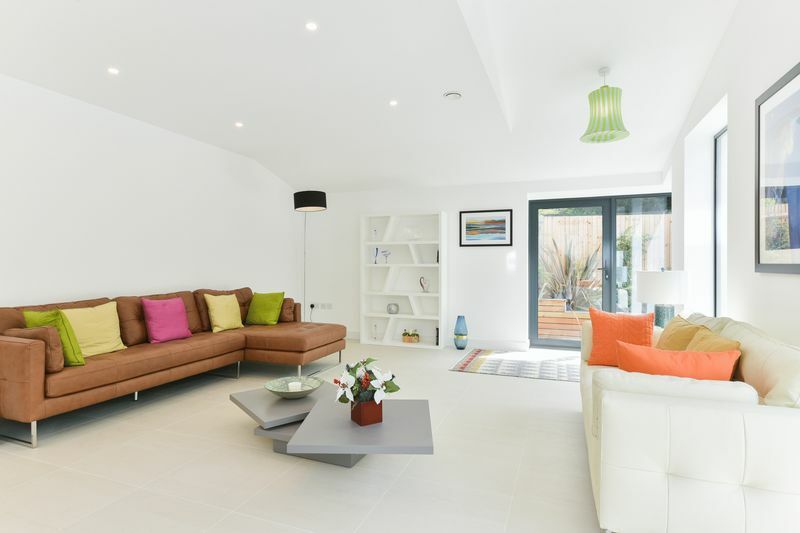 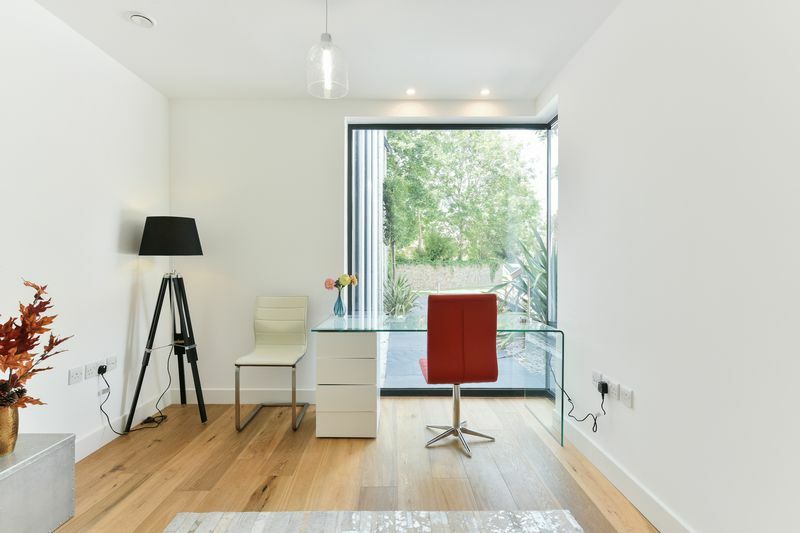 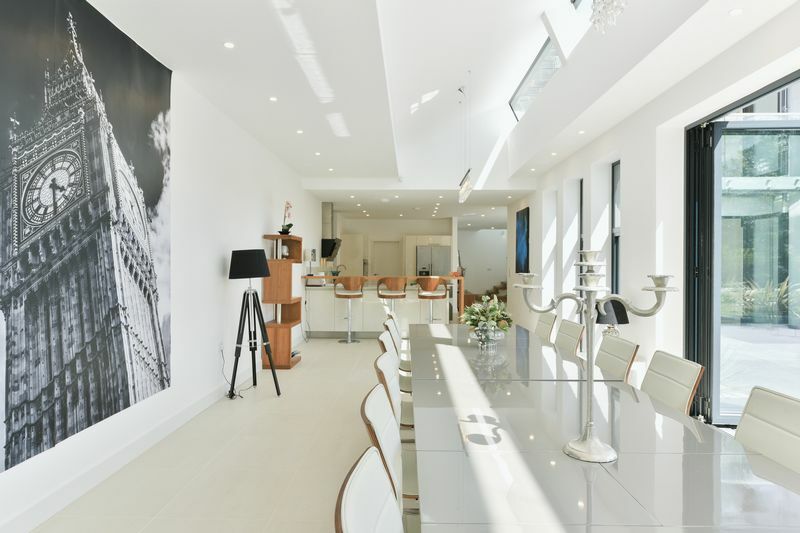 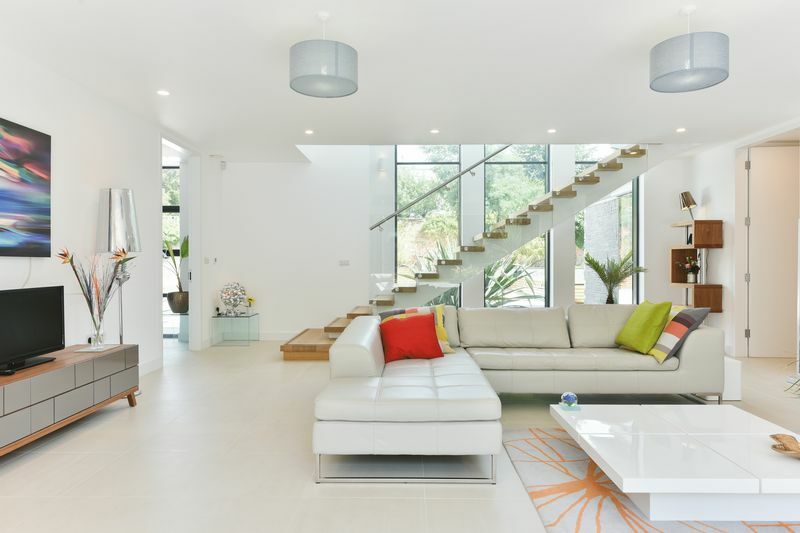 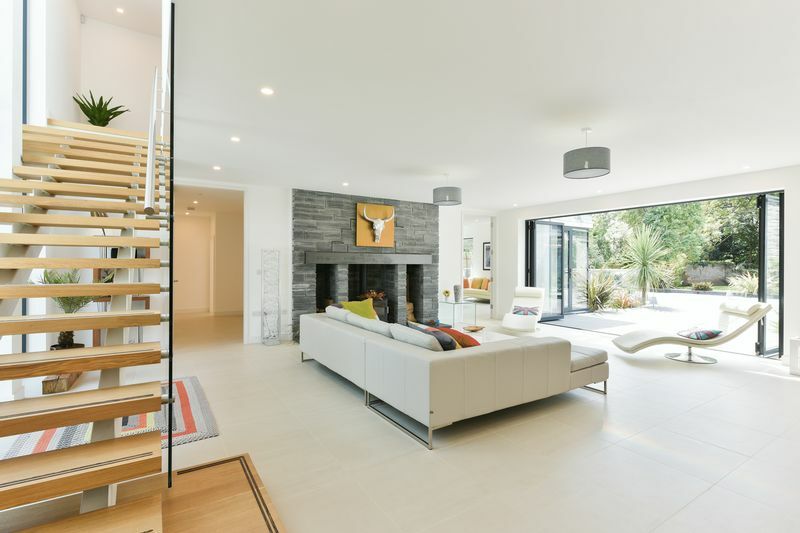 Completed in September 2015, this fabulous, spacious home really has the 'wow' factor. 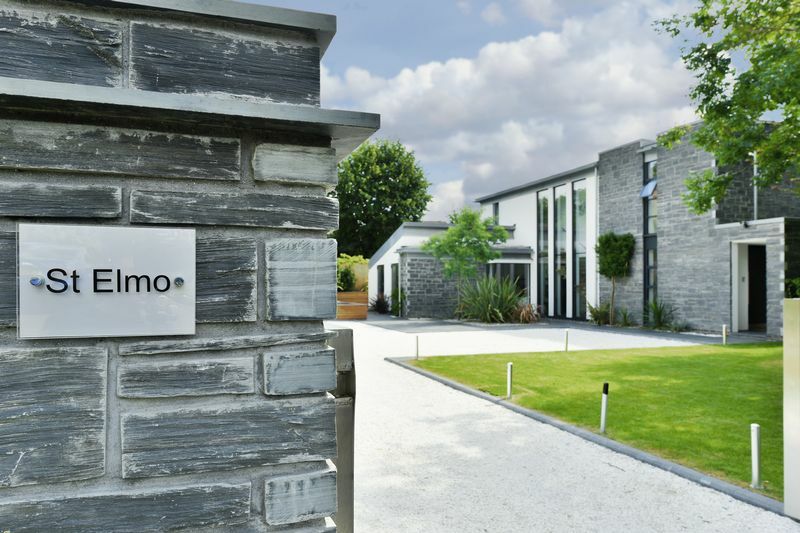 St Elmo has all the attributes of contemporary design and has been created by an award winning Architect. 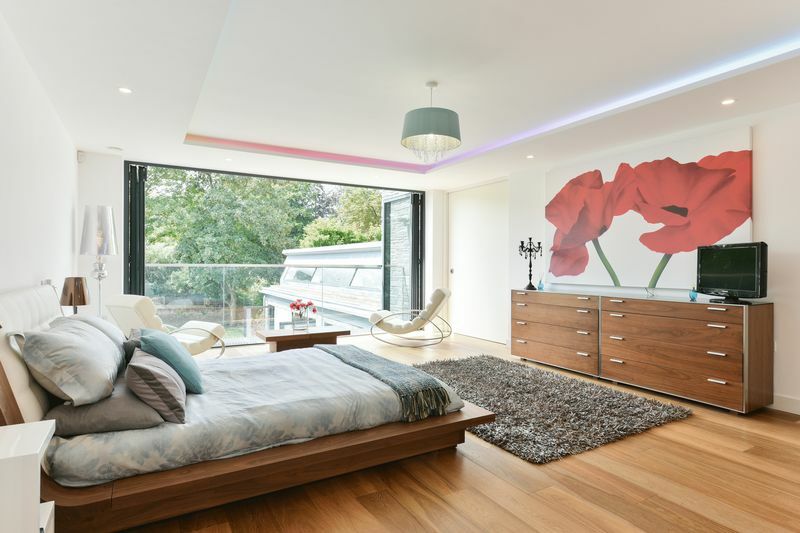 The quality and craftsmanship are in abundance throughout. 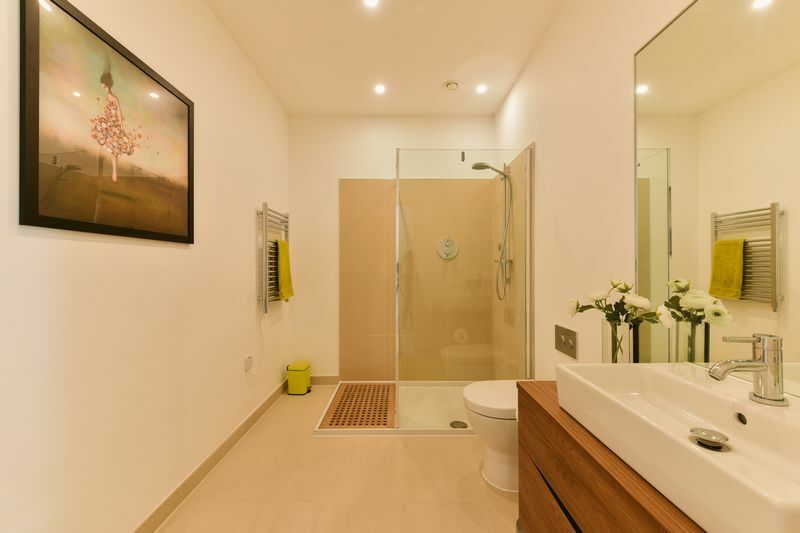 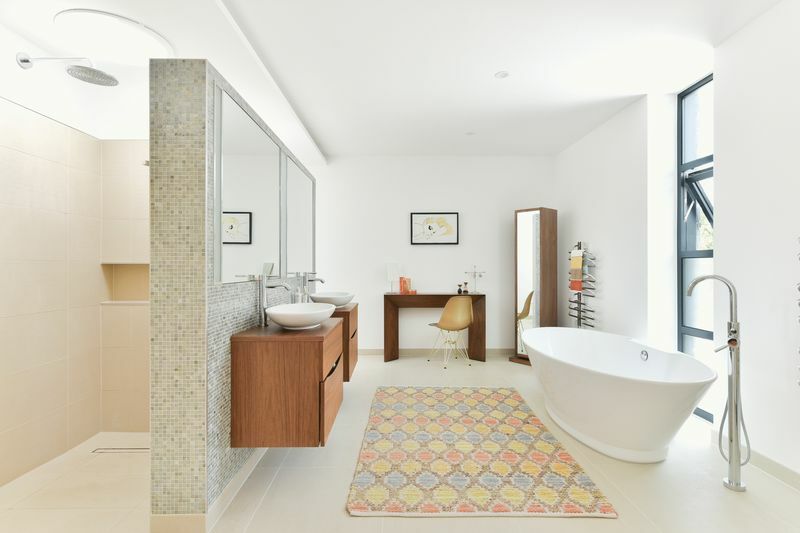 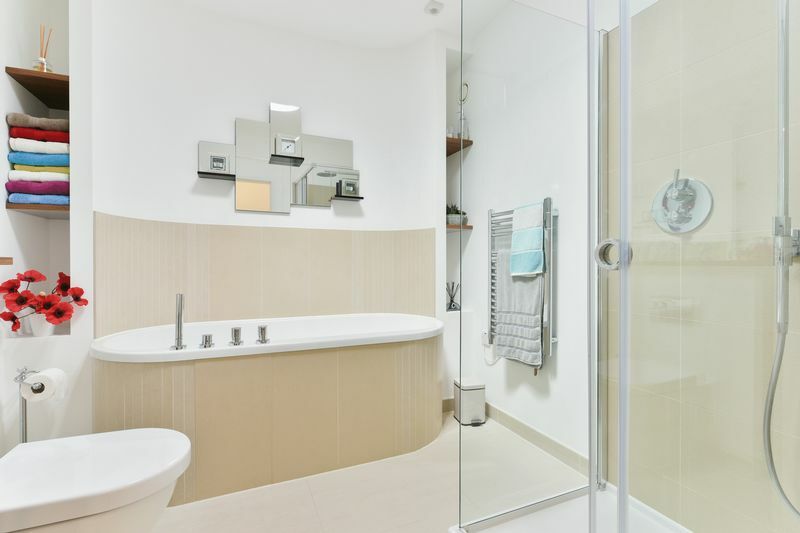 All bathrooms have been created with bespoke designer fittings, tiling to floors and walls are of the highest quality Italian Travertine whilst the bedrooms feature engineered Oak flooring. 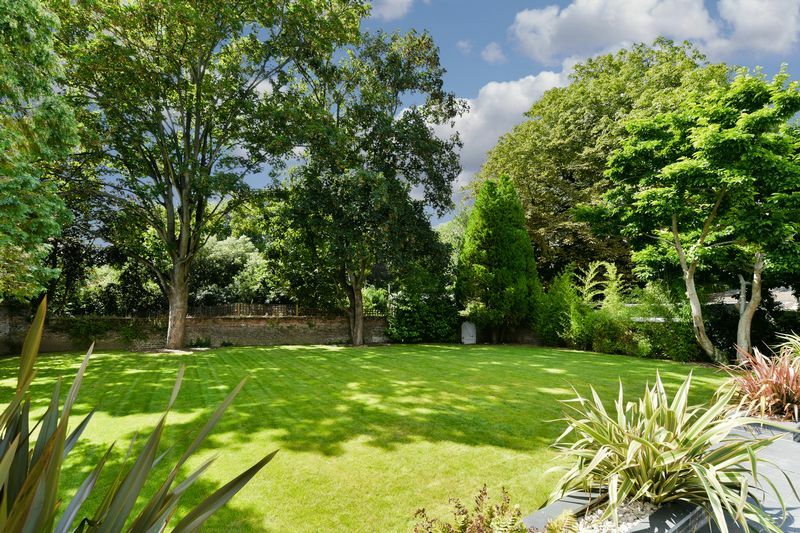 Set in a plot of approximately half an acre, St Elmo is situated behind security gates in a secluded, private lane. 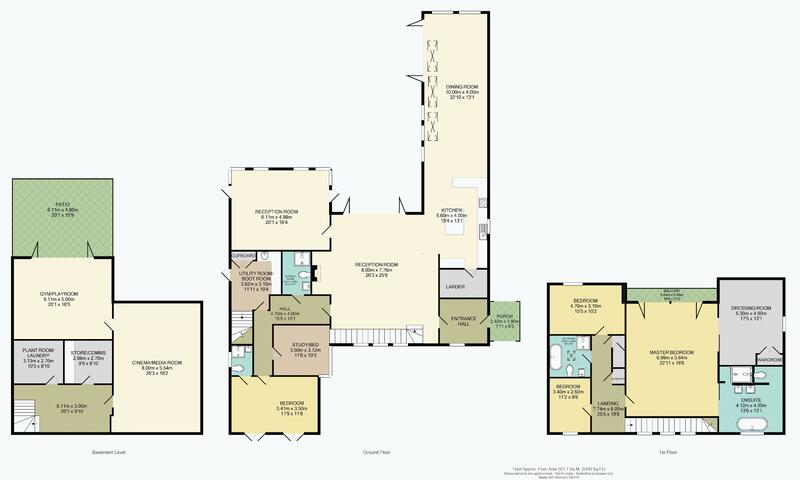 The total floor area, over 3 floors is an impressive 5,400 sq.ft. 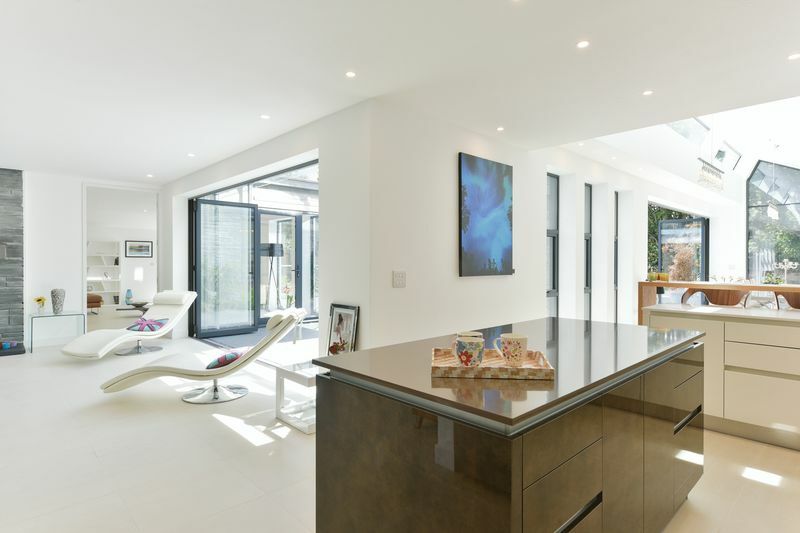 with 2 spacious reception rooms, open plan kitchen/dining room, walk-in larder, utility room, basement entertainment complex, 5 bedrooms and 4 bathrooms, this fabulous home will provide its new owners with ample space for living and entertaining. 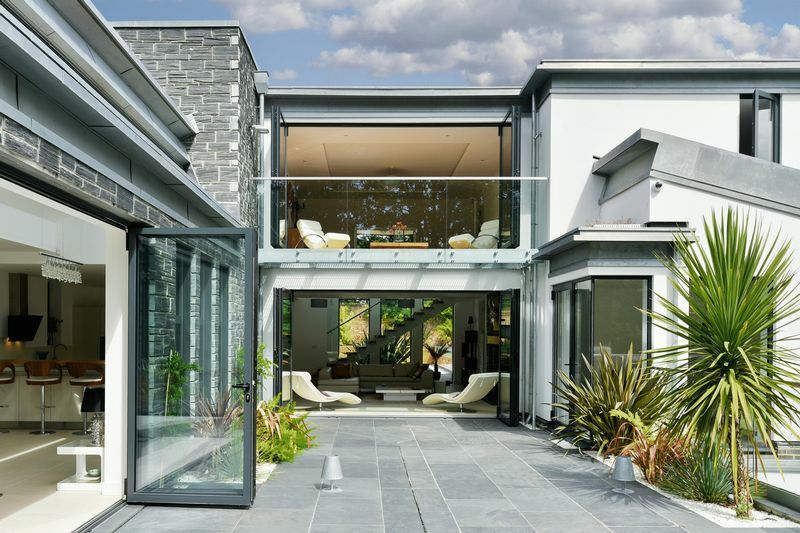 Glass and light feature in gigantic proportions in this stunning residence. 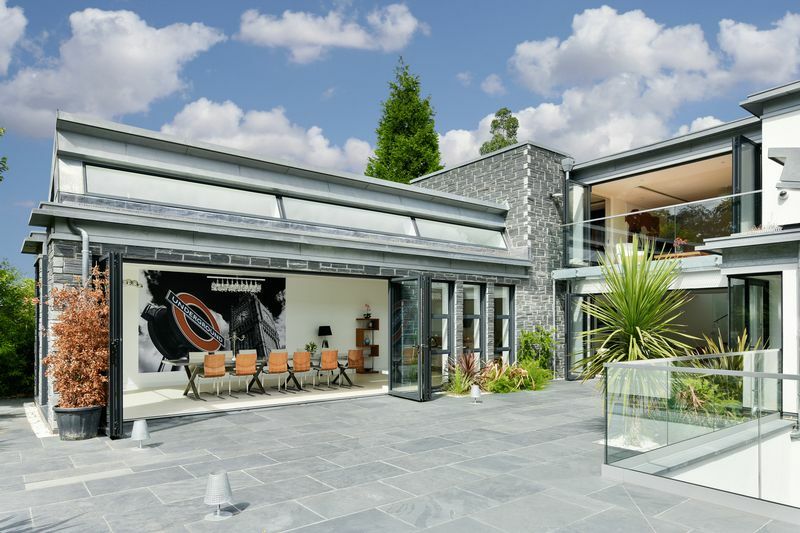 The layout of the ground floor has been configured to allow the inclusion of an annex with its own garden and entrance. 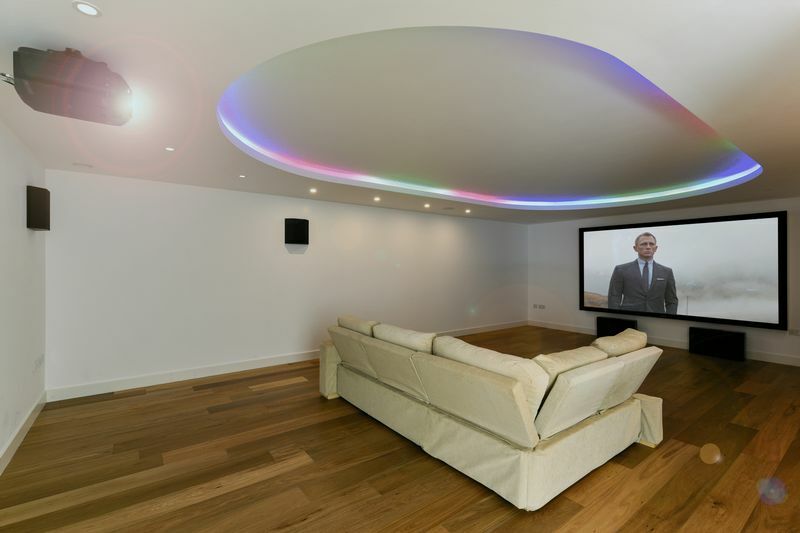 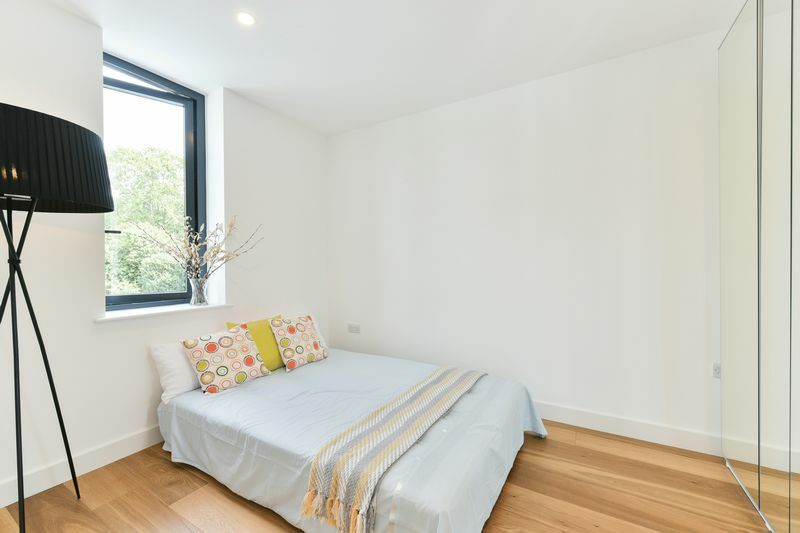 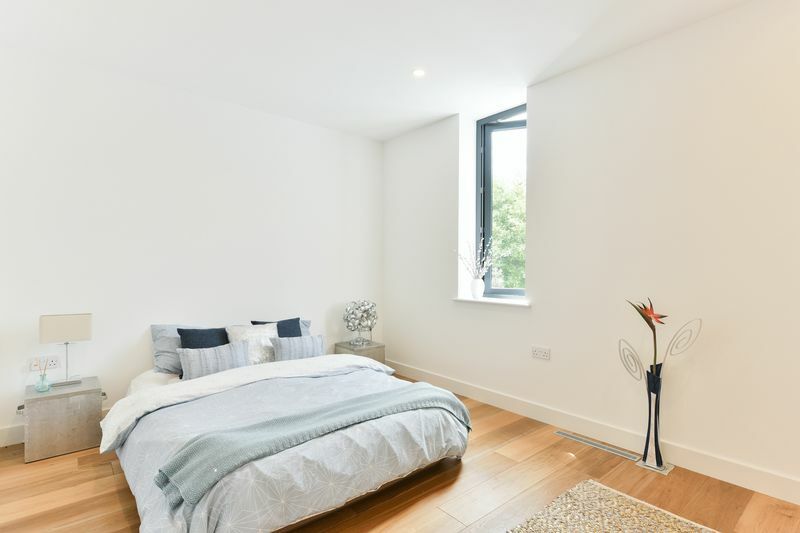 The basement gives way to enormous space and features its own cinema room, gymnasium/play room leading through bi-fold doors to a sunken sun terrace. 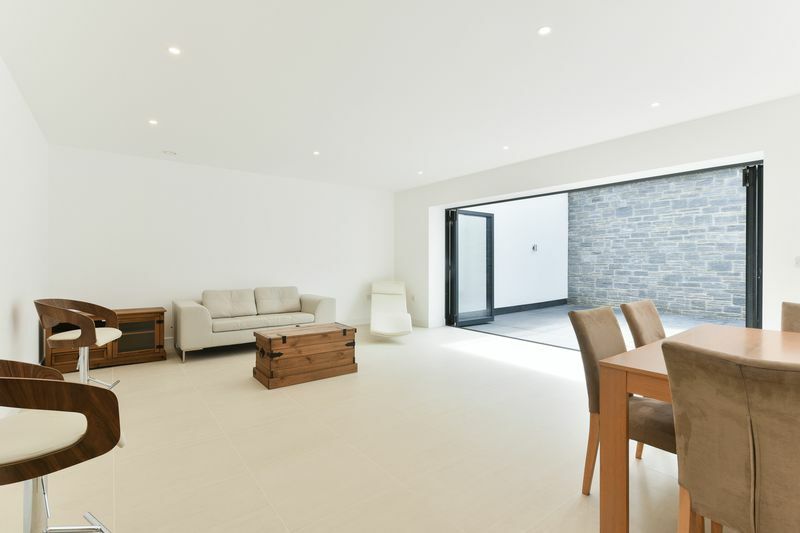 plant room, storage/wine cellar and comms room. 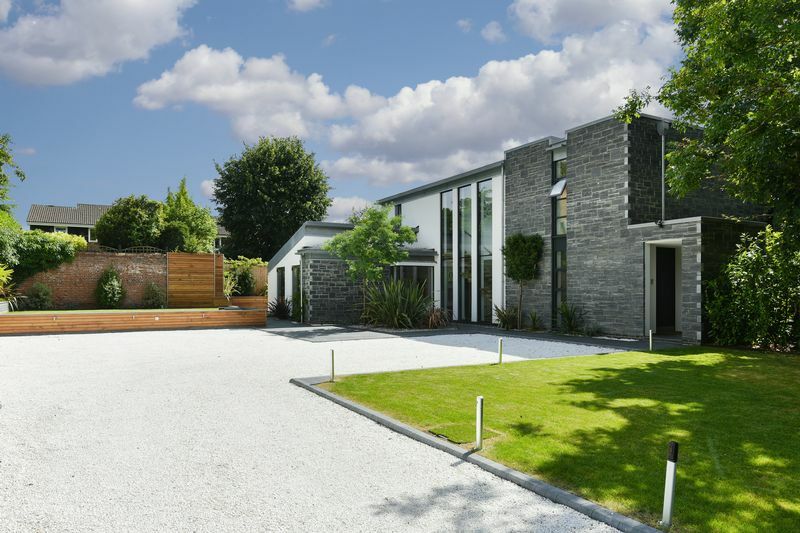 Externally, the soft landscaping scheme has been designed and provided by Architectural Plants to include numerous species of evergreen plants and trees which have been strategically planted whilst the driveway is constructed using innovative product allowing the crushed white marble to self drain. 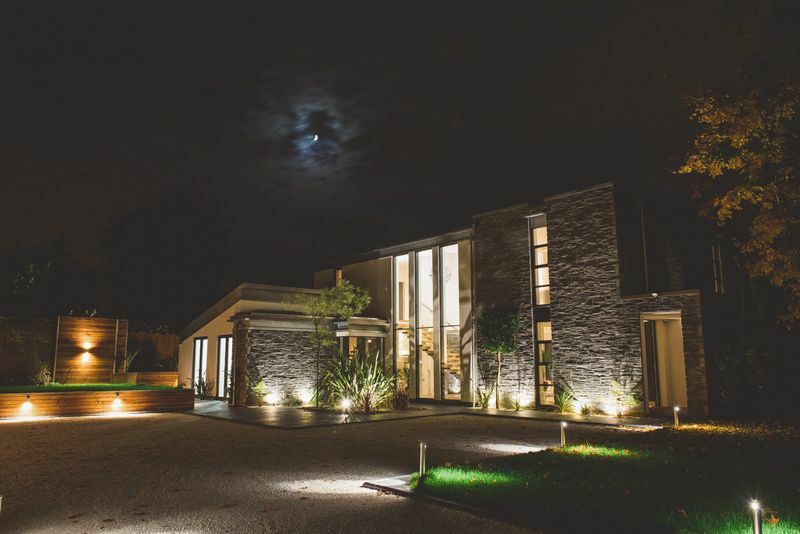 External lighting has been fitted to illuminate the drive, planting beds and garden with further passive floodlighting is strategically positioned for further security.